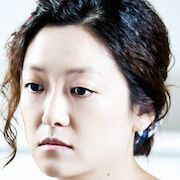 Choi Young-Jin (Kim Hee-Ae) is a female detective squad chief. She also raises her daughter Ha-Eun. At work, she deals with brutal crimes with her senior detective Park Jong-Ho (Kim Min-Jong) and squad members Min Do-Young (Lee Da-Hee), Han Jin-Woo (Son Ho-Jun), Jo Jae-Deok (Heo Jung-Do) and Lee Se-Won (Lee Gi-Kwang). 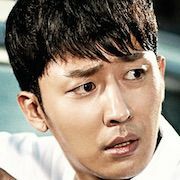 "Mrs. Cop" takes over the SBS Monday & Tuesday 21:55 time slot previously occupied by "High Society" and will be replaced by "Six Flying Dragons" October, 2015. 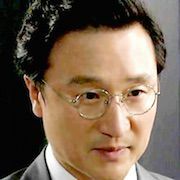 Actor Park Yong-Woo was first offered the lead male role, but declined. First script reading took place on July 4, 2015 at SBS Ilsan Production Studios in Goyang, South Korea. 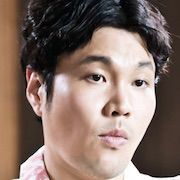 brenda Dec 08 2017 5:56 pm why seo ha eun in ep 1-3 different with seo ha eun in another ep? 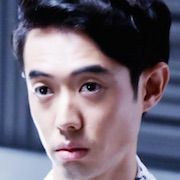 비아네이 Aug 18 2016 6:25 pm Is Nam Hyuk oppas role important? Dee Apr 20 2016 10:17 am I agree with @dreamon and @Mighty Thor...Captain Choi of Mrs. Cop is STUPID! How can a cop bring a 7yr old child to confront a serial killer!! She is damn nuts!!! At that moment she has resigned and she should have called her ex-colleagues to check the place and not go there herself with an innocent child. Not only did she brand the child's father a murderer, she caused the death of the child! She should be striped of her position and dishonored for the death of the poor child! dreamon Mar 28 2016 3:58 am Mrs Cop 2 is way better than this. Mrs Cop 1 was so stupid. isabelle Feb 15 2016 6:33 am The comments are amazing. I'm gonna try watching it because I'm currently addicted to tvn's SIGNAL and it's amazing! Anyone interested in crime stuff, highly recommended, I don't know why so little ppl know about it. Synthiadel94 Dec 06 2015 4:31 am It's really good drama,i want to watch again for the 2nd time. Even nothing love line history,but it's really awesome! I love it so so muchh. Miss.Bbbb Nov 15 2015 1:03 am At first I hesitated to watch this drama but I was wrong I really loved it and I think I wouldn't mind watching another season. 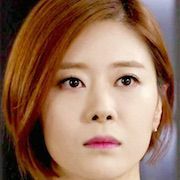 aeimly Nov 01 2015 7:19 am i hope you could make another series of this drama and pls do not change the main actor which is kim hee ae. Also the other actor. Pls do make another series.im so touch watching this drama. CKW Oct 12 2015 4:10 am Is this episodic with an overarching plot? lovedittt Oct 04 2015 11:31 am Really enjoyed this series, great actors!! Malaysian Oct 04 2015 3:29 am Director, please do the next series! this drama was so amazing. the actor and actress were good too. The ending was nice and sweet. Love this!!! Daebak! Oct 01 2015 11:33 am The ratings are amazing! It kept on going up and up! Really proud of Mrs Cop especially the writers for making this drama an amazing one! To those that gave negative comments, in your face! If only those negative people were to at least give Mrs Cop a chance and watch from episode 3 onwards. Whatever it is though, this drama is by far the best crime/detective drama I've ever watch! Great cast, great team & great production! That ending though, somehow made me feel that there's gonna be Mrs Cop 2. PLEASE MAKE THAT HAPPEN!! I feel like 18 episodes is TOO short! Mrs. Cop FIGHTING!!! dian Sep 30 2015 10:18 am OMG..the ending was so sweet..
iriisx Sep 29 2015 10:47 am Very good drama. Thanks!! Livefortoday Sep 28 2015 7:50 pm Is ep 17 not aired yet? Roger Sep 24 2015 11:36 am I didn't like the first 3 episodes, but then it became a really good detective police show. The writers got it right after the 3rd episode. Too whiny the first 3 episodes. Great cliff hanger ending in episode 16. Dave Sep 23 2015 9:47 am Pretty good actors and cases, but it also dark, too dark. Sam Sep 01 2015 10:26 am I love this drama :) The actors are amazing! They aren't dumb and you can really see how they work so hard..Their chemistry will each cast is superb and I can really feel the emotions when watching.I love that it doesn't just focus too much on the lead actress but with everyone.As usual, every drama that Kim Hee Ae acts in is amazing!!! Eka Sep 01 2015 8:11 am First two episode are too boring to watch but this drama getting better now.. I love it.. Especially Son ho jun.. 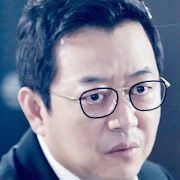 He so handsome.. Mrs cop fighting!!! minami Aug 29 2015 3:49 am The rating is increasing! I really enjoy this drama.. love the chemistry between the cast! kero Aug 26 2015 11:37 pm loving it! its the drama I'm watching as I go throu my -I remember you- withdrawals. If you like crime dramas, this was one is enjoyable. Watch first 2 ep. i dont think these were bad doe. people just probably looking for overrated faces? in the cast. or something. At least the lead female aint annoying, she is fair ok so far, not too dumb, not too whiny, not too pushy or needy, not like many femroles in other dramas-_- Ep 7 and 8 are getting even better. y'all h8ters Aug 25 2015 10:08 pm If you bothered to watch the third episode, you all wouldn't be hating so much. These actors are quality! The storyline is good, and it is solid. Don't assume the drama is bad having only watched two episodes, you all need a chill pill. sechs kies Aug 25 2015 3:55 pm This series is just getting better every episode. Even if Kim Hui Ae is the lead character, Son Ho Jun and Lee Da Hee are the dark horses in this drama. Windsun33 Aug 18 2015 2:41 pm This gets MUCH better after the first two episodes. Episode 5 is hilarious. 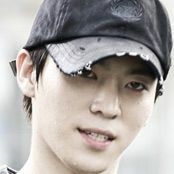 Afiqah Aug 18 2015 6:31 am who is kang jae won real name? 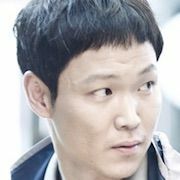 suk2014 Aug 07 2015 4:57 am If hidden identity only 5 cops chase a lot of brutaly criminal, this drama need like 10+ cops to chase one murderer. But both drama still have a good plots. I love hidden identity and im gonna love this drama too. I hope director avoid something vwry technically that make plot become absurd. CNM Aug 06 2015 8:54 pm Just after only two episodes, this drama is already disappointing! The story makes the Korean cops look pretty pathetic! 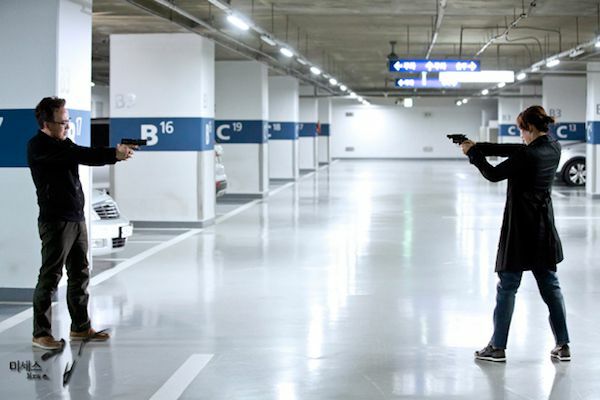 With a large number of them on stake out or in pursuit of that murderer, Nam Sang Hyuk, he still manages to escape! Killing an innocent child is despicable, like the police chief said, she should of made her shot count! That's why criminals like him get away with it! Even they know how the system works! Hope the writers do a better job in the upcoming episodes! She should really leave the police and become a bounty hunter! Ha! lamino Aug 05 2015 8:13 am somehow it is not that good drama..just watch a short scene(episode 2) where the cops are trying to catch the culprit in somewhat gambling room..but none of them brings any sort of gun..so, unnaturally and yet unsurprisingly the culprit got loose after wrestling about 10-15 cops...it is very unrealistic..
Larry Aug 04 2015 8:41 pm First episode: Ms Cop provokes her daughter to stealing so that they can spend some time together. Second episode: Ms Cop is instrumental in also neglecting a 7 y.o. boy temporarily in her care which leads to the child's brutal death. So far this is not a child friendly character. suk2014 Aug 03 2015 6:13 am Me too!!! I want to too that i see this for my son ho jun. Ek Jul 28 2015 3:37 pm hi everyone!! I'm a big fan of Kim hee ae as she is known for great acting n fantastic role model for mums... Hope u all enjoy the drama n like her too!! 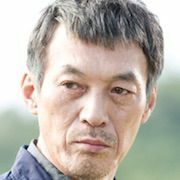 Trew Jul 22 2015 11:26 pm Detective Squad Chief cant be teenage flower boy/girl ;) If you want decent crime/detective drama you must cast experienced actors, age dont count for me, but there must be atleast little logic in it. Duo Jul 15 2015 6:03 am Is this going to be nice? No offence but the actors are kinda old. Sorry but I'm a girl and I'm straight so I don't really care if the main actress is old af but a good actress. I watch dramas for hot guys, why do u care? 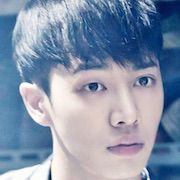 I kissed the hottie lee ki kwang and son ho joon who is pretty good himself... Old actresses are prettier, more experienced and just better but isn't 1967 just too old? Jun ji hyun, song hye kyo, kim Hee sun, ha ji won.... Are really great but none of the comments included kim Hee ae as a pretty and good actress. city77 Jul 03 2015 8:25 am hohoho. it is good to see that there is quite a lot of drama nowadays that the actor or actress is the experienced one. it is not that i hate the younger ones but well i prefer the older ones. hahaha. suk2014 Jun 27 2015 11:12 pm Seriously, its hard to find under 30 good actress. Im prefer older actress coz they are real. Kim hee ae, gong hyo jin, jun ji hyun, son ye jin, kim tae hee, han ji min such a great talent. Nox Jun 26 2015 9:31 pm Just typical viewers these days who only want young flower boys/girls on their screen. No matter how bad their acting are ...so annoying! me_nina Jun 25 2015 7:34 am @kangchie i like your comment! Minyun Jun 18 2015 9:25 pm Nooo older women... dang she from 1967??? !!! Couse a younger acterss ..come on! !